Take a look at the Locations & Artists page on this website to browse all the research. 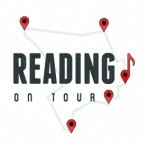 Head on over to Reading Museum – there’s an exhibit and oral history stand and you can pick up a map of the trails to follow. Many of the trail locations have Reading On Tour posters displayed – scan the QR code on them to be taken on the tour through your smartphone.